During 2019, The Checkered Flag is rounding up the news and results from the various TCR Series around the world on a weekly basis. This weeks review includes The TCR UK Touring Car Championship, The TCR Italy Touring Car Championship, The ADAC TCR Germany Series, The TCR New Zealand Touring Car Championship, The TCR Asia International Series and The FIA World Touring Car Cup (WTCR). Here’s a look at all of the action and announcements from the last seven days. 18-year-old René Kircher is the first driver signed by Racing One for its campaign in the 2019 ADAC TCR Germany Series. After building himself a reputation in karting, Kircher faces his only second season in automobile racing, having finished eighth in the Renault Clio Cup Central Europe last year; he will be driving one of the team’s Audi RS 3 LMS cars with the aim of fighting for the rookie title. “To win the rookie title is my goal, and I hope to fight for the front positions. Racing One is a very experienced team that has proved to be a winner, which makes me confident. I’ll do my best to be up to the task,” he said. MM Motorsport will field two Honda Civic FK2 cars in the 2019 TCR Italy Touring Car Championship’s opening round at Monza, for Davide Nardilli and Lev Tolkachev. Nardilli made his first appearance in the series last year at Vallelunga, where he created a surprise, claiming a well-deserved podium result. “I wish to make up from last year’s disappointment, as I was forced to stop before the end of the season following a crash at Misano. I went through a thorough preparation last winter, spending time in the fitness centre and karting. I also did some testing with the racing car and I feel ready,” said Nardilli. Tolkachev has been a regular in the TCR Russia’s latest seasons in which he was classified sixth overall in 2016, thirteenth overall in 2017 and tenth overall last year. “I met the MM Motorsport guys a couple of years ago during a test and they were very helpful in giving me advice on how to set up the car. My goal is to prepare myself in view of TCR Russia that will kick off two weeks later,” Tolkachev explained. WSC Ltd and MotorSport New Zealand have reached an agreement to introduce a national TCR series in New Zealand in 2020. With the growth and popularity of TCR globally, MotorSport NZ has received a strong number of inquiries from local competitors as to whether this category has a place in local motorsports. Hyundai Motorsport has established a new Customer Racing Young Driver initiative, for the first time supporting circuit racers competing with the i30 N TCR. The new initiative represents the beginning of a long-term commitment to Hyundai Motorsport’s TCR customers around the world. The Customer Racing department already provides on-site engineering and spare parts services to teams in major series. However, the arrival of the Young Driver program extends the support the department can offer directly to i30 N TCR drivers. Open to any driver under the age of 24 driving with one of Hyundai Motorsport’s TCR teams, the Young Driver program is designed to help with progress through the various national and regional series, towards FIA WTCR. 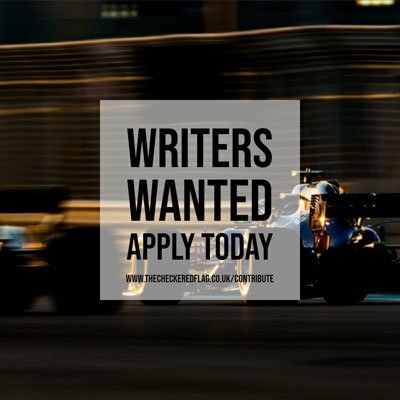 Drivers will be selected based on their results on track in the chosen championship, as well as their ability to work with the teams’ engineers and their professional approach both at and away from, the circuit. The 2019 season of the FIA World Touring Car Cup (WTCR) got underway at the circuit Moulay El Hassan in Marrakech last weekend, with 2018 Champion Gabriele Tarquini back to defend his driver’s title from twenty-five of the best touring car drivers from around the globe. With a hectic weekend of two different Qualifying sessions and three interesting races, The Checkered Flag’s WTCR reporter James Bowers was kept very busy. You can find his thoughts here regarding Race One, Race Two and Race Three. Esteban Guerrieri, Tarquini and Thed Björk savoured race victories whilst both Frédéric Vervisch and 2018 TCR Europe champion Mikel Azcona starred in the various Qualifying sessions. Björk leads the Drivers Championship with Münnich Motorsport leading the Teams Championship. Reigning TCR Asia champion Luca Engstler began the season in style with a lights-to-flag victory at Sepang International Circuit. The young German and his Team Engstler Hyundai i30 N sprinted from pole position in race one and bid farewell to the rest of the field. Not even a safety car intervention prevented Engstler from claiming a dominant victory ahead of his teammate Théo Coicaud and Team Oettinger’s Diego Moran. Former WTCR driver Pepe Oriola came home in fourth. Diego Moran, driving a Team Oettinger Volkswagen Golf GTI, won the second TCR Asia race at Sepang International Circuit and took the championship points lead. It was an exciting race that saw the Ecuadorian winning the fight for the lead with Philippines’ Daniel Miranda in the Eurasia Motorsport Hyundai i30 N. Behind the leading pair, Oriola and Engstler were involved in a ruthless fight that ended with the young German stranded onto the gravel at T1. Guest driver Klim Gavrilov made a stunning debut in TCR Italy by winning with authority the first of the season’s opening event at Monza. The 19-year-old Russian, at the wheel of the LTA Rally Audi RS 3 LMS, defeated the Scuderia del Girasole CUPRA cars driven by the reigning champion Salvatore Tavano and young gun Matteo Greco. Bad luck hit the poleman Enrico Bettera at the start; his Pit Lane Competizioni Audi stalled and was passed by almost the entire field. Greco took the lead ahead of Max Mugelli in the PRS Racing Alfa Romeo Giulietta, Tavano and Gavrilov. Bettera took his revenge by winning Race 2 at Monza from the reigning champion Tavano who left the circuit as the points leader. The third spot of the podium went to the 16-year-old Jacopo Guidetti, although he recorded the very same elapsed time as Marco Pellegrini, because of a 5-second penalty. The race started on a drying track after the morning’s showers, with the field divided in terms of tyres choice: some drivers chose wets, others opted for slicks and some mixed the two kinds. Felix Wimmer, on wets, took the lead from the top-ten reverse pole, while Max Mugelli stole second with a perfect start and Marco Pellegrini was given a drive-through for moving before the green light. WSC Ltd and Maximum Motorsport have confirmed that they will join forces to cooperate on the running of the 2019 TCR UK Touring Car Championship. WSC Ltd, the entity responsible for promoting the TCR Concept worldwide and Stewart Lines’ operation will team up to run the series alongside the 2019 Dunlop Touring Car Trophy throughout the year as part of a new agreement between the two parties. TCR UK competitors will compete for a dedicated classification and the TCR UK title will be awarded at the end of the season. The final revised calendar will be released in the next few days.